The open plan layout of the ground floor leads the living room , out into the hall area. 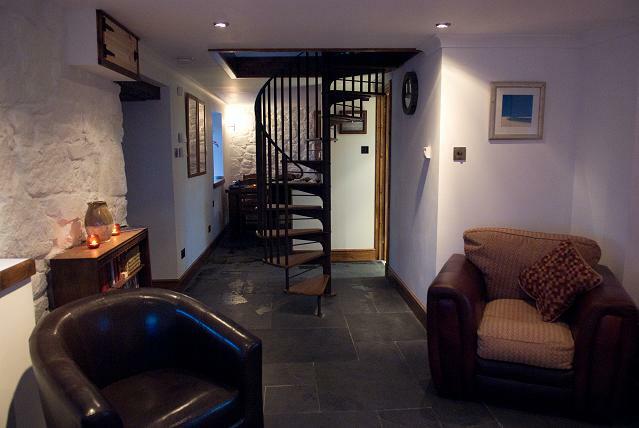 The distinguishing feature in the hall is the amazing wooden spiral staircase sweeping up through the ceiling! It’s visible from almost all of the ground floor and will be a talking point when you see it!